I just knew it would be really special to make Xander's first birthday cake. I love to cook, but I'm not a much of a baker. So I was on a mission to find a recipe that was yummy, easy to make and clean... free of gluten and refined sugars. One of my mommy friends suggested a recipe by Danielle Walker. I took Danielle's recipe and made it my own. Check out what I came up with! 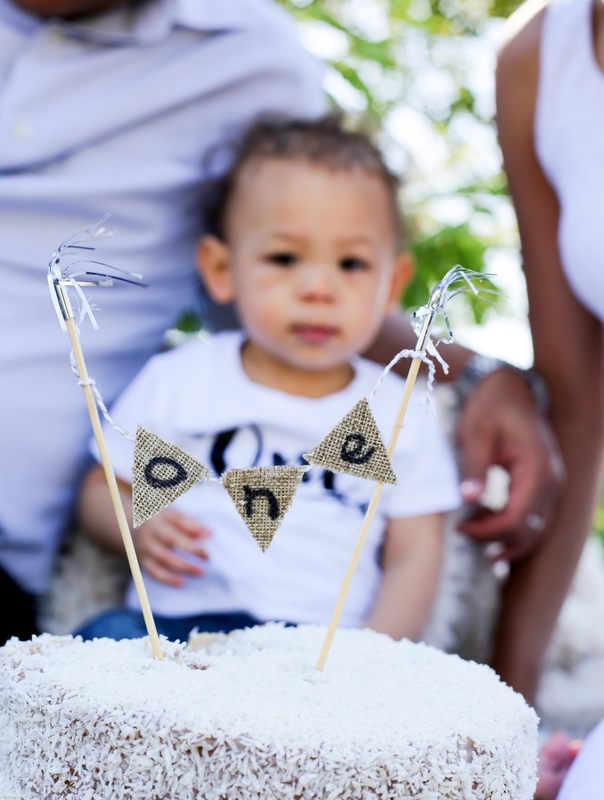 My vision for a white + rustic birthday cake for Alexander's Wild One came to life and I was very pleased. Raspberries were Alexander's favorite fruit at the time, so I knew I had to make a raspberry cake.